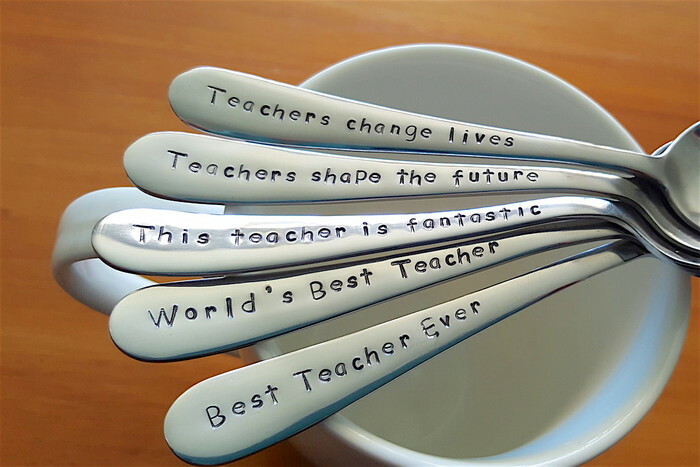 *Words are personally hand stamped on a NEW STAINLESS STEEL TEASPOONS. *Words go on the handle. *Comes with an organza bag around the end of the spoon ready for gift giving.